I sure do miss the weekly radio program and the opportunity to release some of what is shut up in my bones. I read a sobering Bible verse yesterday morning. It hit me so hard and felt like such a warning. To me? For sure! To others? Likely. I wrote it all down and carried it with me Sunday as though I were headed to the radio just in case God gave me the opportunity to share what He had laid on my heart. It is now Monday, and one thing is for sure and that is I have not moved on. It burns! Not sure you can feel that through a blog but here it is. The warning – DON’T WANDER! If you aren’t challenged by this verse yourself or stirred in any way to warn others…look at the definition of the word “wander” below and then read it again – every single word!!! Don’t leave even one word out or change it in any way to suit your own life! • to ramble without a definite purpose or objective; roam, rove, or stray. • to go aimlessly, indirectly, or casually; meander. • to move, pass, or turn idly, as the hand or the eyes. • to stray from a path, place, companions, etc. • to think or speak confusedly or incoherently. How important is it to avoid wandering? Straying away? Well, this verse doesn’t say that wandering aimlessly from time to time for a short while is okay or that straying just a short distance is okay. It says that the man that wanders away from the way of understanding SHALL REMAIN in the congregation of the dead. Don’t allow yourself to wander from God and His Word or from His people! Don’t allow yourself to get off the path He has placed you on. Most of us do not intend to go astray; we wander into unrighteousness or sin. The results are the same though whether deliberate or not. If you get yourself off track and you never get back onto the path the Lord had you on; if you never get your eyes back on Jesus in your walk – you will end up remaining in the congregation of the dead. In other words, you will remain in eternal hell. Listen let’s be honest, we all get discouraged and sometimes feel defeated on the path God has placed us. Sometimes we get frustrated and annoyed by petty things. Sometimes we don’t want to wander, we want to run away. Sometimes we feel invisible and wonder who would notice if we wandered anyway; who would care. Jesus cares! He cares a lot because there is an eternal consequence. If you have deliberately or inadvertently wandered away from the Lord, His Word, His people even a little bit in the physical or maybe even more importantly in your heart… get back where you belong! And can I say one more thing that you can agree with, disagree with, but I feel it strongly this morning? I am preaching to myself first and foremost and I will end it here. 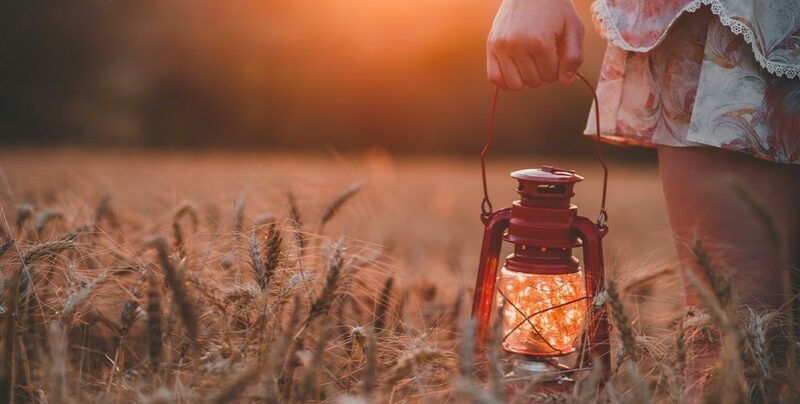 If someone in the body of Christ can wander away – and you and I don’t care enough to send a note, make a call, or get on our knees for them — you and I need to check to see if we have not wandered ourselves.